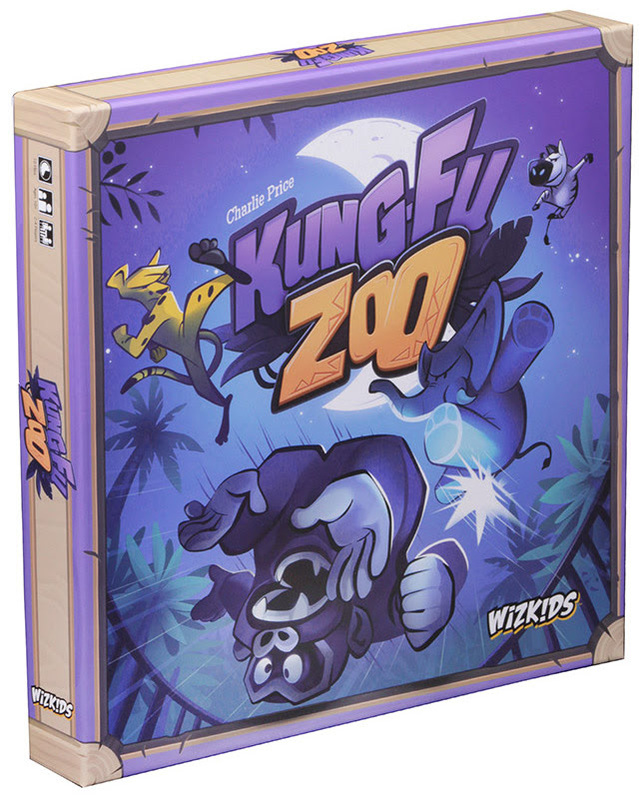 Action Figure Insider » Every Zoo Has Wild Animals… And They All Know Kung-Fu in WizKids’ New Game, Kung-Fu Zoo! Now Available! Every Zoo Has Wild Animals… And They All Know Kung-Fu in WizKids’ New Game, Kung-Fu Zoo! Now Available! 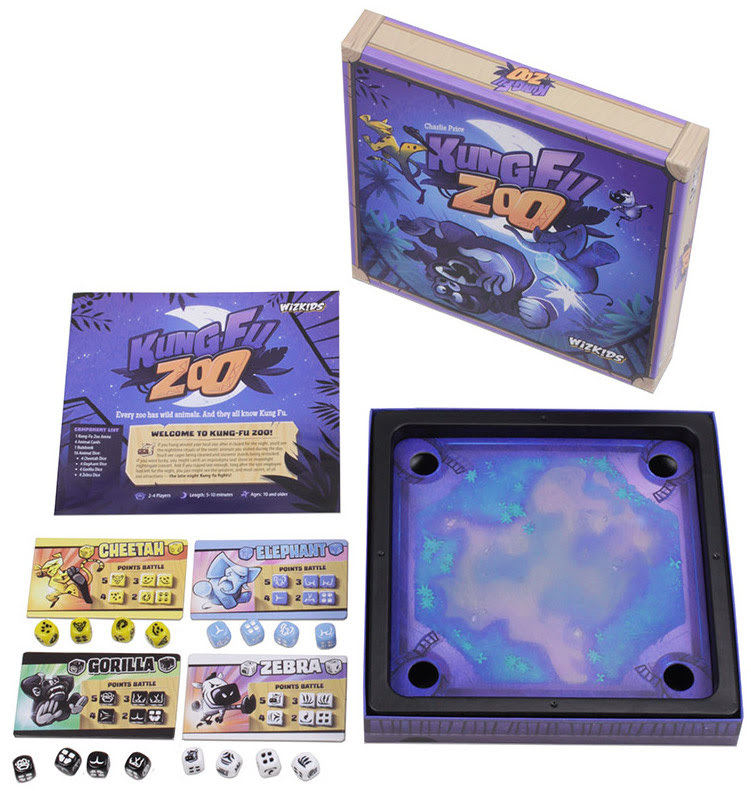 Hillside, NJ – March 21, 2018 – WizKids is excited to announce the release of the dice-flicking dexterity game, Kung-Fu Zoo! 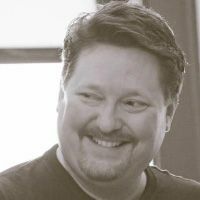 Designed by Charlie Price, players take turns flicking their animal dice into the arena with the goal of knocking their opponent(s) onto their backs and stunning them, or into their cages. The dice in Kung-Fu Zoo are designed to look like the animals they represent. 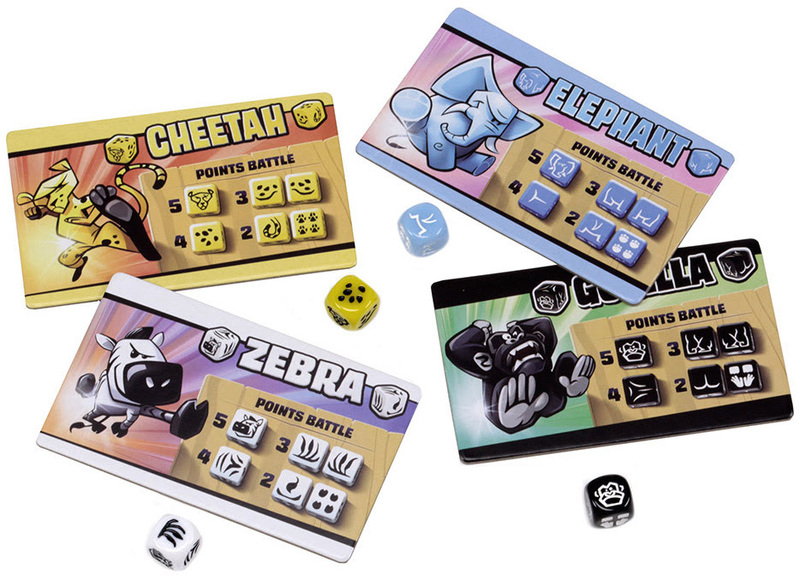 Each one shows the head, sides, back, tail, and feet of each of the four animals that come with the game – Elephant, Cheetah, Gorilla, and Zebra. In addition to looking cool, the sides also play into the mechanics of the game; like determining how many points you score, or where an animal can be flicked from. There are two ways to play: Cage Battle and Points Battle. Cage Battle is the main way to play, where players take turns flicking dice and working toward being the last animal standing. The outer edge is called the Rail; that’s where animals are flicked from. One at a time, animals start at one of the four indented dots along the rail, and get flicked into the arena. A player will need to ricochet their dice off the sides of the arena before hitting an opponent into one of the cage holes. If successful, they get another turn. After all dice have been launched into the field, players are allowed to pick up one die and shoot again. Animals showing their back, a side, or tail are flicked from one of the four dots. A head up animal is able to be flicked anywhere on the rail, while feet up is stunned and unable to be flicked. In addition to that, the animals gain special abilities. Only able to be used once per game, these are unique techniques that could help turn the tides of battle. Zebras kick up dirt into an opponent’s face, causing them to close their eyes before shooting. Cheetahs can run to a different spot, Elephants can be flicked from inside the arena, and Gorillas can jump off other Gorillas. The second game type is Points Battle. For this game, players shoot all four of their dice, one at a time, from one of the four dots. After all dice have been flicked, players add up points based on the top sides of the dice. Head up is worth 5 points, while feet up is only worth 2. Simply add up the points, and whoever has the most wins! Kung-Fu Zoo is a game that can be enjoyed by all ages and skill levels. 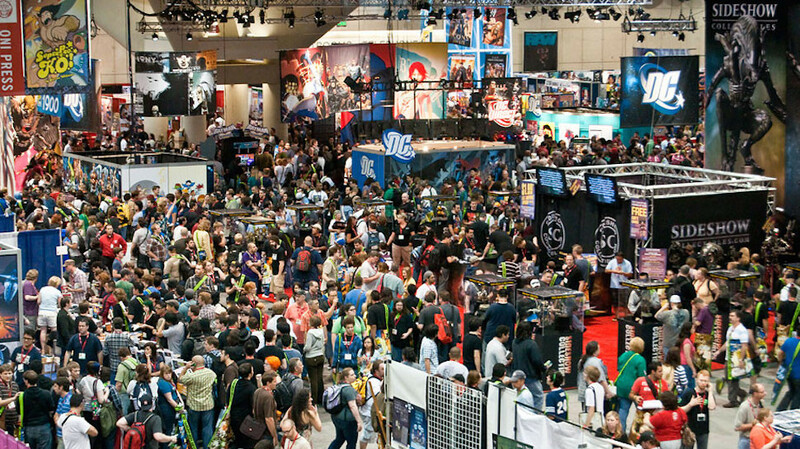 It’s quick to learn, quick to play, and the perfect addition to any board game collection. Priced at $29.99, be sure to visit your Friendly Local Game Store and pick up your copy today!